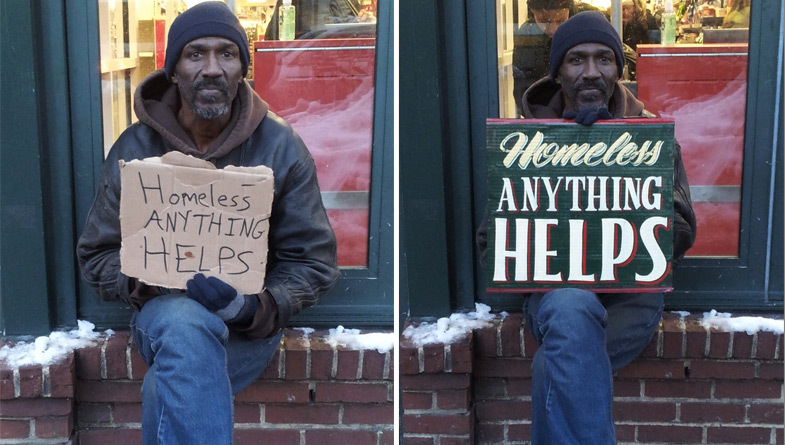 Kenji Nakayama and Christopher Hope began Signs for the Homeless in an attempt to use the striking impact of beautifully lettered signs, as replacement for dilapidated placards held by the homeless in Boston, to make passers-by stop and take notice. The Tumblr site for the project also carries interviews with the homeless, along with photographs of their new signs. The redesigned signs bring focus to the presence of the homeless in the area, a reality which is often ignored. While the signs themselves make this reality hard to ignore, the accompanying stories build human connect and empathy. 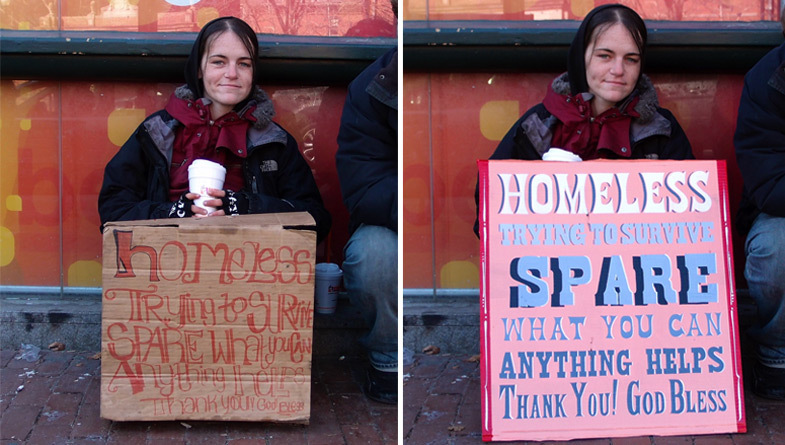 Images from Signs for the Homeless.